How do I download my subscription software? CyberLink subscription software is managed through CyberLink Application Manager (CAM). 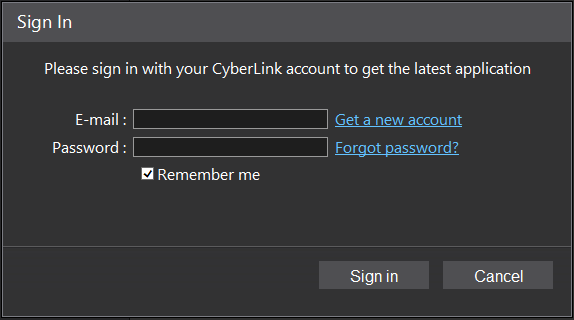 Subscribers must download their software and/or add-ons through CyberLink Application Manager. Install CyberLink Application Manager and open it. Sign in/ Sign up using your CyberLink account. 3. Find your subscription software in My Program tab. Click Download to download and install your subscription product. What is CyberLink Application Manager?